Japan regain world title in Belgium! 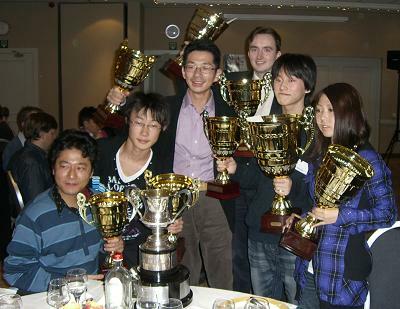 Japan won a clean sweep of titles at the 33rd World Othello Championships held in Ghent, Belgium. Yusuke Takanashi of Japan, only 17 years old, is the new Othello world champion after defeating Matthias Berg of Germany in two straight games in the finals. Mei Urashima won the women’s world champion title and Japan (Takanashi, Takizawa, Okamoto) won the team world title for the 5th consecutive time. Australia (Geoff Hubbard, George Ortiz, Michiko Yanagi) finished 16th from 25 countries. All the results and games of the 33rd World Othello Championships can be found at www.woc2009.be.